Whether you actually want to or not, it’s always good to send a message. When the Librarian of Congress made some really odd (read: “dumb”) decisions regarding an end-user’s freedoms to hack devices that they paid for and own outright, the interwebs was abuzz. Now that those rules have actually taken effect, people are realizing that those freedoms, especially the extremely practical carrier-unlocking of cell phones, means more to them than they previously thought. Now, if you want to avoid breaking any laws, you need permission from your carrier to unlock your phone; a request your carrier will usually flat-out deny, or may even charge you for the privilege of accessing the full capabilities of a device that you own. Imagine buying a Jeep, and having to ask Chrysler if you can put a lift kit on it and go off-roading. It simply wouldn’t be tolerated. I don’t need permission from Sony to power speakers they made with a custom-built amplifier, and if asked why I want to do so my only answer may be “Because I can”. This site is devoted to DIY, and jealously protective of “Because I can”. You may be fine with getting locked in to an overpriced cell phone plan from an overbearing carrier, but are you okay with being told in what ways you are allowed to use a device that you paid for? Tell Washington that you don’t appreciate technological advances, competitive business models, and the freedoms of the end-user (that’s you) being hobbled by outdated, misguided law. 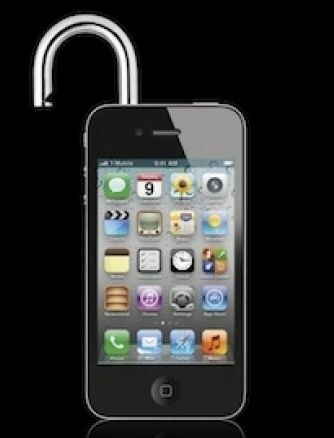 Sign the petition to Make Unlocking Cell Phones Legal. No matter how ridiculous and impossible they get, I still want to watch all the Fast and Furious movies. “Tonight” by Fun. sounds as dumb in Spanish as it does in English. Oprah + Jeep isn’t as cool as Clint Eastwood + Chrysler. A GoPro is approximately ten times cooler when you strap it to a baby’s head, and then throw the baby in the air.